Well, in-between doing other jobs and real world (!) things, I finally got this Radio Mast 05 into the game and working. Also, I'd like to mention and thank both Mikero and [EvG] Kiory for their massive help with this one, and many others in the ARMA community- I had a few problems with this in regards things like collisions (Don't ask...) and even basic things like getting a bloody ALPHA channel to work (Don't ask...)! 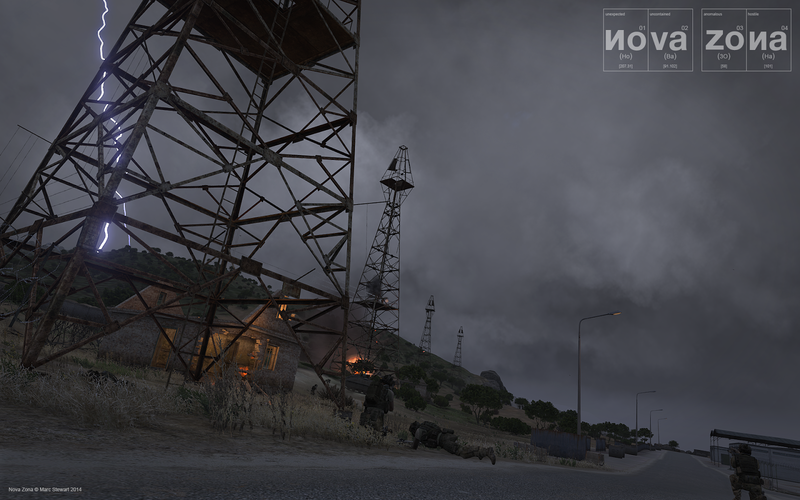 I should mention, the only retouching is the very top of the lightning bolt as I missed the strike with ARMA3's Splendid Cam, and there's a slight vignette around the outside to focus the attention, that's all though- it's basically all in game goodness.